Our power wash trailer manufacturing has now exceeded 30 years of experience. What this means for you is that we have devoted our lives to building the best possible trailer mounted power wash systems and offering them at factory direct pricing. We now have over 2500 units in service worldwide and are honored with all of our customers including the U.S. Military that prefer our quality trailer mounted power wash systems due to the extreme performance, serviceability, and reliability our equipment offers. We pride ourselves on giving each and every customer personalized attention to ensure that their trailer wash system fits their needs! 2. QUALITY – QUALITY PAYS, IT DOES NOT COST! 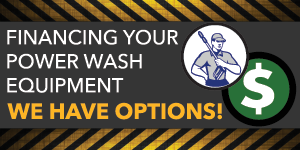 Our industrial duty trailer mounted power wash equipment gives the Best Return On Your Investment! 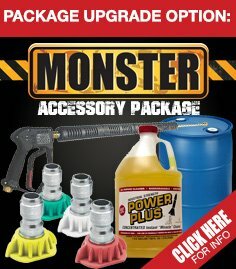 Consider an industrial duty trailer mounted power washer that will give 10 years of service 24/7 vs. a light duty commercial grade unit (which is most nearly every machine on the market) which will give 3 to 5 years of service, then your initial cost is well worth the investment on the industrial duty unit due to the extended life of the equipment. Cheapest is not always best – especially when you consider down time and the cost of service on a lower grade machine. We hear constantly from professionals that have tried other units on the market that have ended up costing them both time and money buying lower quality power wash equipment. 3. DOES THE COMPANY SPECIALIZE IN TRAILER MOUNTED PRESSURE WASHERS? We’re not an Internet only company – like most of the power wash trailers you see being offered on the internet – we are a brick & mortar – U.S. based and owned – family run business! 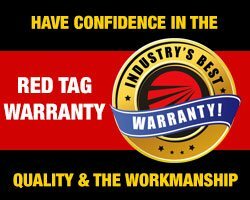 Our pressure wash trailer systems carry the best warranty in the entire industry. Vanguard (which is made by Toyota) – and is now a U.S. based manufacturer, our main engine supplier and Honda have service dealers in nearly every town in America, in the event of needing motor service. We have spent decades researching the best pumps in the industry – and heavy duty V-Belt Drive the entire pump system – this gives ultimate reliability and extended service life. Ask any other company that you are considering to buy their power wash trailer systems about their warranty and see if they can match our famous 10-7-3 Limited Warranty…10 year pump warranty, 7 year coil warranty and 3 year engine warranty – NOBODY COMPARES! 5. BUY A PRESSURE WASH TRAILER THAT IS ENGINEERED FOR EASY SERVICE!! If it’s not engineered for easy service – don’t buy it! Most units are poorly engineered – they might look fancy, but what about changing oil on the motor and pump? Rebuilding a pump? Changing belts? Access to burners? etc. Every machine needs service! Beware of the poor engineering! 6. DON’T BUY 12 VOLT POWERED BURNER POWER UNITS!! Before you buy, ask how the burner is powered. Yes, perhaps you will save money on the initial purchase of a 12 volt system, but you will need the money you saved for the future repairs! 12 volt units draw their power to run the burner system from the battery. The engines diodes recharge the battery. The problem is that at times the diodes do not generate enough amps to keep up with the burner. As a result the fan motor slows down and the heating coils soot up from the lack of air flow. This huge engineering problem creates a mess and requires the coils to be cleaned more often. Vibration, operator controls, elevation, engine RPM all affect the engine diodes*. The pressure wash equipment we build all have their own separate generators – producing 115 volts to power the burner system! Obviously a 115 volt system with its own generator has 10 times the voltage and therefore is 10 times more reliable in operation. *The 18HP unit utilizes a 12 volt burner and is NOT rated for continuous service. 7. DON’T UNDERSIZE YOUR POWER WASH EQUIPMENT!! If you are using your pressure wash trailer system for heavy duty cleaning, say at a construction site, or most commercial applications, don’t buy a light duty commercial pressure wash trailer – it just won’t hold up. Make sure you purchase a pressure wash trailer system that will fit your needs and applications. Remember – The larger the machine, THE FASTER THE CLEAN JOB! Which means more money for the contract power washers! 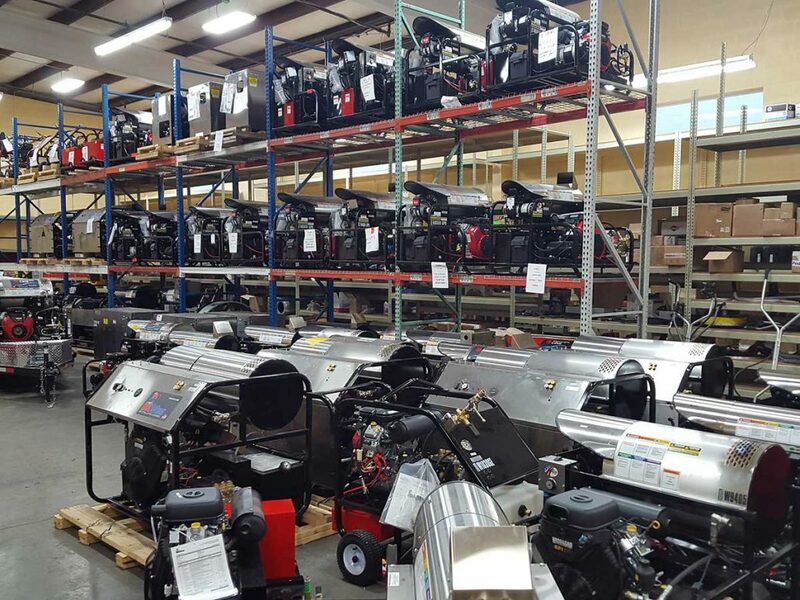 We carry one of the largest inventories of power wash trailer systems in the country. This gives us some of the fastest delivery times in the country. With every power wash trailer system sold, we supply an extensive Operational and Safety video with sign off sheets for OSHA and owner/employee training if you come to our faciity here in Salt Lake. 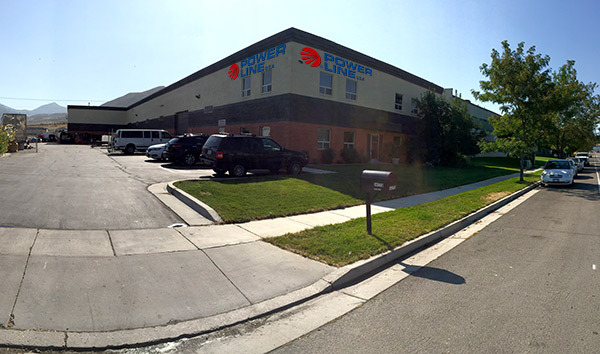 Also, if you are going into your own Power Wash Business – we started our Power Wash Training Classes in 2003. ANYBODY CAN SELL YOU A POWER WASH TRAILER SYSTEM, HOWEVER HOW MANY OF THEM OFFER EXTENSIVE OPERATIONAL, SAFETY AND MARKETING TRAINING? When considering buying a power wash trailer systems, ask how are they going to deliver. If it’s going to be shipped on a common carrier – PLAN ON RECEIVING IT DAMAGED – this is why we ship our power wash trailers on our own contract common carrier. We load the power wash trailer system inside the truck to keep it out of the weather – and we guarantee it will arrive in perfect condition! We make delivery fast and easy!